So, After a long wait and a huge suspense, between the students of AKTU regarding the ODD Semester Exams. 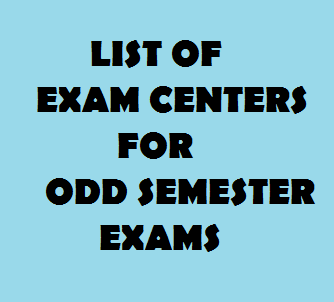 The university has released the list of AKTU Examination centre for odd semester. The Centres are kept as per the convince of the students so that they can reach the exam centres easily. AKTU can also make some CHANGES IN DATESHEET OF THE ODD SEMESTER Exams So students are advised to see there datesheet before the exams. You can download the list of centres from the link given below.